Winter is a glorious season in Northern Michigan. The first snow of the season brings whoops of delight as snow lovers get ready for a variety of outdoor activities. Up North winters are truly spectacular. This is not the place for mushy, gray winter days. Instead our days are crisp with freshly fallen snow. We love our winters and you will, too. With the snow comes wonderful winter fun. We have it all in Northern Michigan. 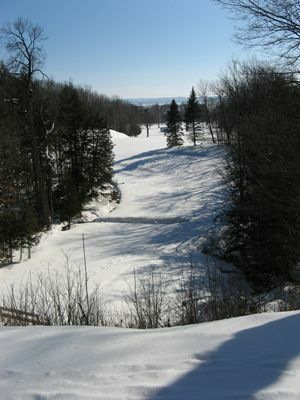 Three of the best ski resorts in the Midwest right in our back yard, Nub's Nob, Boyne Highlands, and Boyne Mountain. Skiing is a big part of winter fun in Northern Michigan. With two ski resorts located between Harbor Springs and Petoskey, and another south of Petoskey in Boyne Falls, there is no excuse not to enjoy skiing and with night skiing available at all the resorts, skiing under the stars is indeed an option. Snow tubing? Zip line adventures? Ski racing? 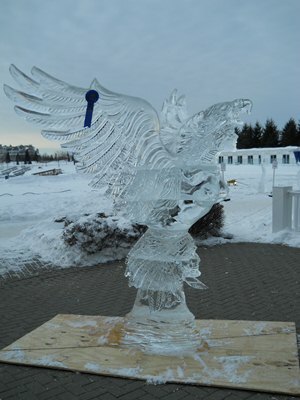 Check out our ski resorts for these winter fun activities. What else is there to do Up North in the winter? Sledding is a great family activity. Bring along your sled or toboggan and zip down the hills. And ice skating? Each of the parks in our Northern Michigan area have both sledding hills and ice rinks so sled for awhile and then put on the blades to glide along the ice. You can sled and skate at Petoskey's Winter Sports Park, Harbor Springs' Kiwanis Park, Charlevoix's Mount McSauba and Boyne City's Avalanche Park. Yes, all of our Northern Michigan sledding and ice skating parks have warming huts. Cross country skiing? Yes, we do! All three of our ski resorts have groomed cross country ski trails. In addition, there are many other trails open to cross country skiers and snowshoers such as our state parks. Cross country skiing and snowshoeing in Northern Michigan is excellent. Snowmobiling? We have miles and miles of trails that bring snowmobilers from around the Midwest to enjoy the terrain and snow. Yes, Northern Michigan is the place for snowmobiling. Yes, we have it all in Northern Michigan just waiting for you to outdoors in the snow and play. Sleigh Rides and Dog Sled Rides are the perfect way to glide across the snow and experience the beauty of Northern Michigan's countryside. Dashing through the snow couldn't be more fun than in a Sleigh and Dog Sled Ride.